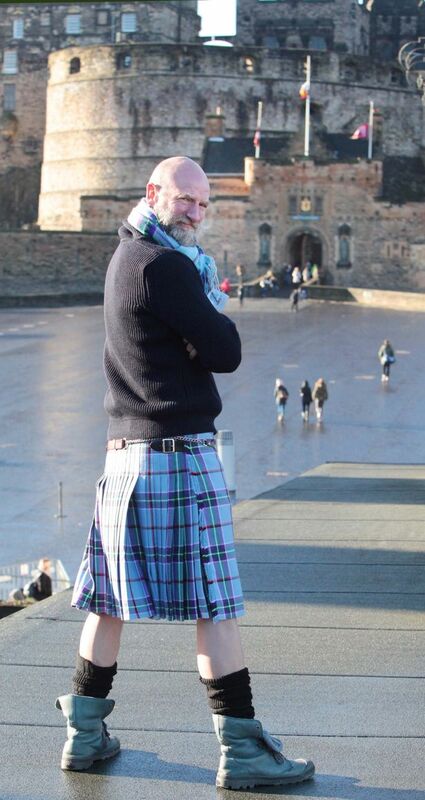 OUTLANDER actor Graham McTavish was honoured to be named a World Peace Tartan Ambassador in Edinburgh. 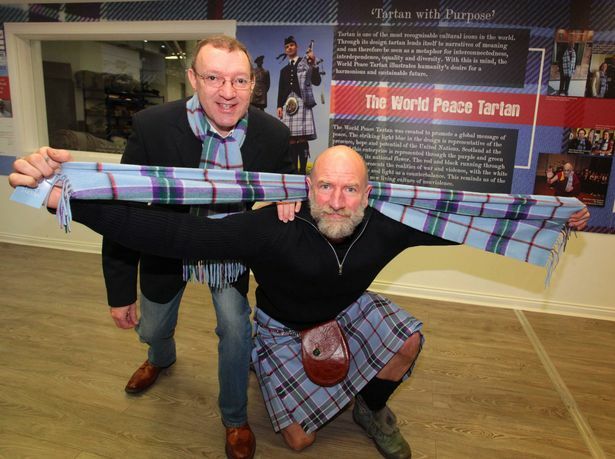 OUTLANDER star Graham McTavish was confirmed as a World Peace Tartan Ambassador in Edinburgh today. The actor, who also stars in The Hobbit, joins Arun Gandhi, grandson of Mahatma Gandhi, and award winning Scottish piper Craig Weir as ambassadors of the tartan inspired by the Dalai Lama. The Scots actor, who plays Dougal MacKenzie in the hit show, was presented with a framed ambassador endorsement at the Tartan Weaving Mill on the Royal Mile’s Castlehill by Victor Spence, founder of the Peace Tartan. 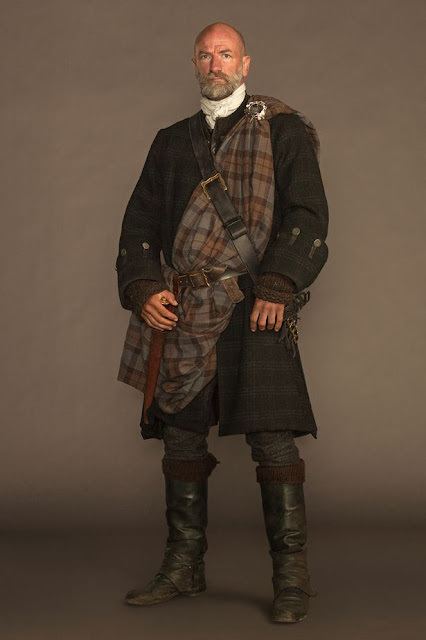 Graham was honoured to represent the Peace Tartan just days after the tragic events in Paris, where much of the second season of Outlander is set. He said: "I wish with all my heart that things like that didn’t happen but I’m not naive enough to think that terrible things don’t happen in the world. We should not run away from pain and suffering but take a stand. "My role is to spread the word. Tartan is a world recognised symbol of Scotland and it’s wonderful that it can be used to propagate an ideal. "Wearing this tartan is what I can do on a public basis. I hope I can contribute by simply wearing a kilt and talking about what the Peace Tartan stands for - we want to get more images of peace out there rather than images of violence." The actor, who plays a war chieftain in Outlander, added: "The irony hasn’t been lost on me. We’ve been filming some difficult sequences recently not compatible with my role as a peace ambassador. But Outlander is an historical story and we can’t pretend that these things didn’t happen." Graham explained how he was chosen as an Ambassador for the tartan brand: "Earlier this year I was honoured to be the Grand Marshall of the New York Tartan Day parade and I became aware of the World Peace Tartan through talking with Scottish piper and World Peace Tartan ambassador Craig Weir and with Scot Street Style founder Gordon Millar. “While I was still in New York I received a tweet from World Peace Tartan founder Victor Spence who asked me if I would consider becoming an ambassador. I quickly replied that ‘I would be honoured’. He added: "When I recently arrived in Edinburgh for Outlander filming in Scotland Victor Spence and I met up and he told me how the whole World Peace Tartan project began and the latest news. It’s a very inspiring and moving story. It’s a highly innovative use of tartan as one of Scotland’s great cultural icons to carry a global message of peace while also raising funds for good causes. 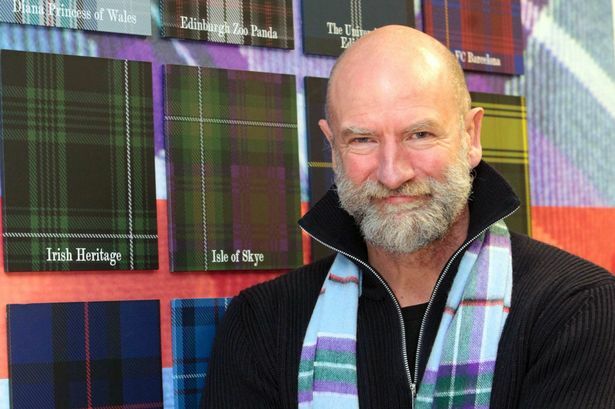 Victor Spence, Founder of the World Peace Tartan Initiative said: “Having Graham McTavish on board as a new ambassador is fantastic news for this initiative. Graham is a very popular man with a substantial and growing presence in the world of film and TV. It was extra wonderful news that he is a keen kilt wearer. “When he agreed to wear the World Peace Tartan kilt as an ambassador we had him measured up fast and folks at the Tartan Weaving Mill put Graham’s kilt on urgent fast track and delivered the handmade kilt two days later. We are delighted to say that Graham McTavish will now join Arun Gandhi, grandson of Mahatma Gandhi and award winning Scottish piper Craig Wear as kilt wearing international ambassadors of the World Peace Tartan initiative. Spence added: "The World Peace Tartan was created to make a contribution from the heart of Scotland to building a culture of peace in the world and Graham McTavish has been attracted to this initiative to carry and promote the message of peace that this unique tartan carries. A growing number of notable individuals from around the world have been presented with World Peace Tartan, including His Holiness The Dalai Lama of Tibet, Archbishop Desmond Tutu, Pope Francis, Canadian astronaut Chris Hadfield and earlier this year Susan Boyle.